Wednesday, Apr. 10, 2019, 12:30 – 2:30 p.m.
Join us for check in's , food and friends. 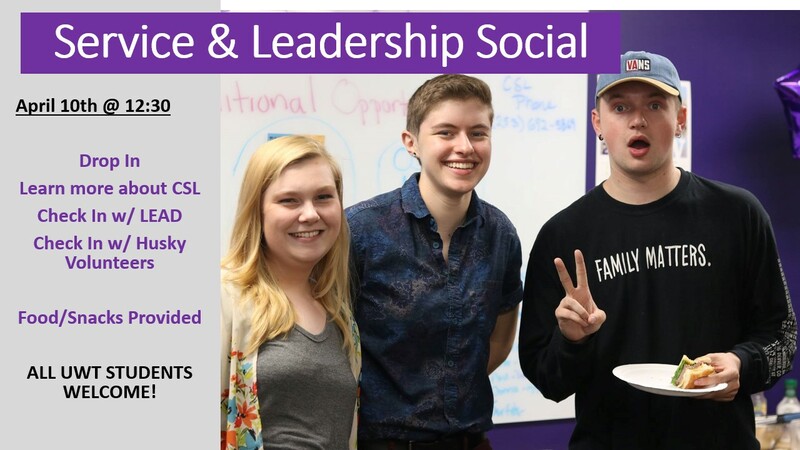 Learn about and check in on the LEAD Challenge and Husky Volunteers. Drop in. This event is open to all students who want to engage in service and leadership activities across campus.